Telok Ayer Arts Club bills itself as a multi-use arts space, built on the notion of heartland community clubs. It aims to bring together art, music, food and drink in a more accessible manner to the masses, just like what most heartland community clubs aim to do. Can we really draw that parallel, though? Well, sure, if your neighbourhood community club has a cool bar and a restaurant that serves up interesting French Mediterranean cuisine. But hey, call a spade a shovel, call this a fresh take on my dear old Siglap CC, I don’t really care. I just want to know how the food at the restaurant is. And seeing as how this is from the same group behind SPRMRKT, I thought why not check it out. So there I was at Telok Ayer Arts Club, with a group of fellow food enthusiasts, trying out their latest menu. The focus is more than just Mediterranean/French, you will see an infusion of Asian touches here and there. Dumplings ($11) stuffed with pork and chicken, lightly seasoned with shoyu and sesame oil. Bite into a plump piece and a surprise twist of bocconcini oozes out. 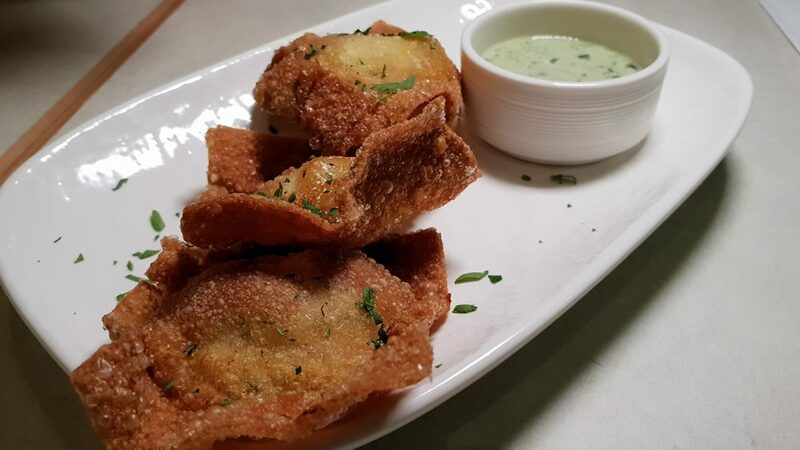 That, together with the sharp basil and coriander dip, make this dish quite a unique version of a typical deep-fried dumpling. 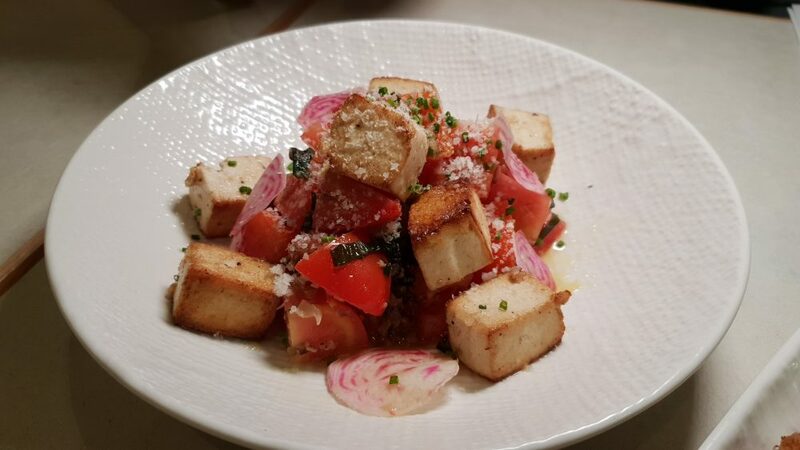 Tomato and Tofu ($14) – another example of cross-cultural cooking, this is a twist on the Italian caprese, with chunks of marinated and toasted tofu acting as a replacement to the usual buffala mozzarella. I liked the addition of pine nuts for crunch. 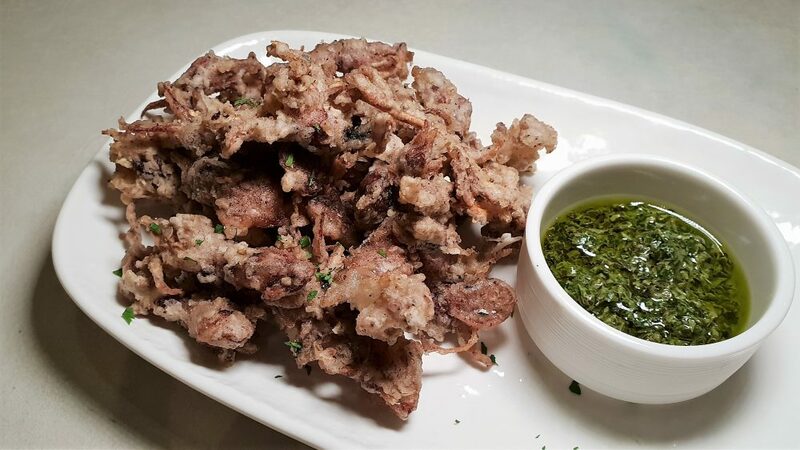 Crispy Baby Squid ($13) – everyone’s favourite bar snack, perfect with a beer or a cocktail? A zesty, herby, buttery dip accompanies the dish. 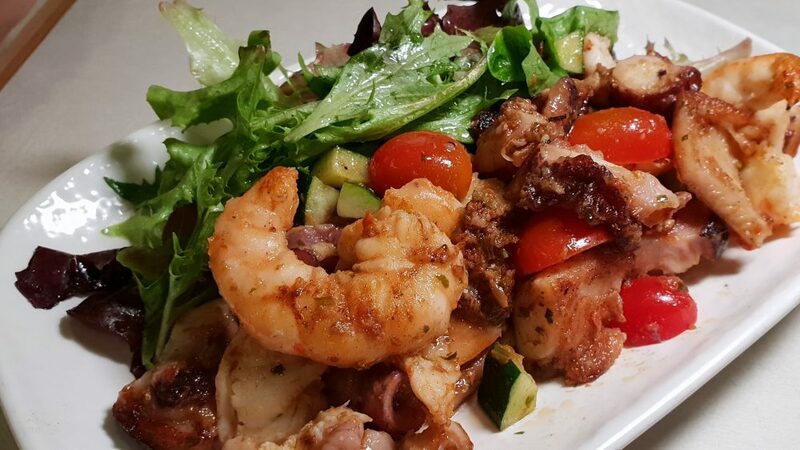 Octopus and Shrimp ($18) – looks like a typical Mediterranean dish, but here, each piece of seafood is dressed with a traditional Chinese Shacha BBQ sauce. Happy to report no overcooked seafood here. 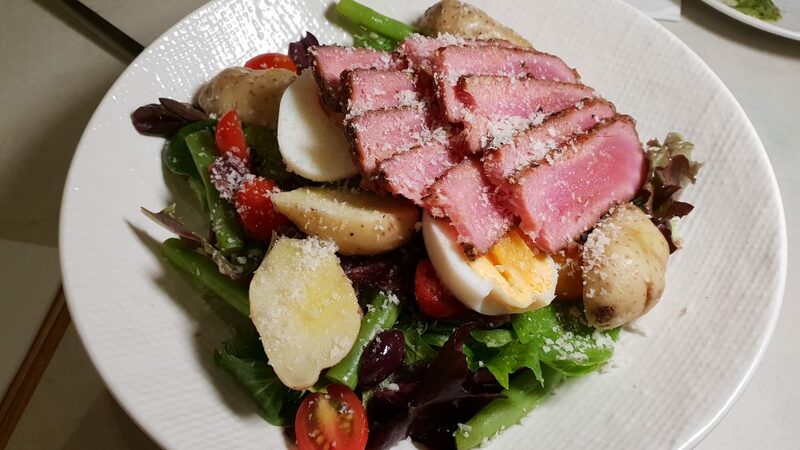 Tuna Nicoise Salad ($17) – rubbed with paprika, oregano, lemon zest and seared tataki style, the salad is dressed with a rosemary vinaigrette and just what a low-carb dieter needs. 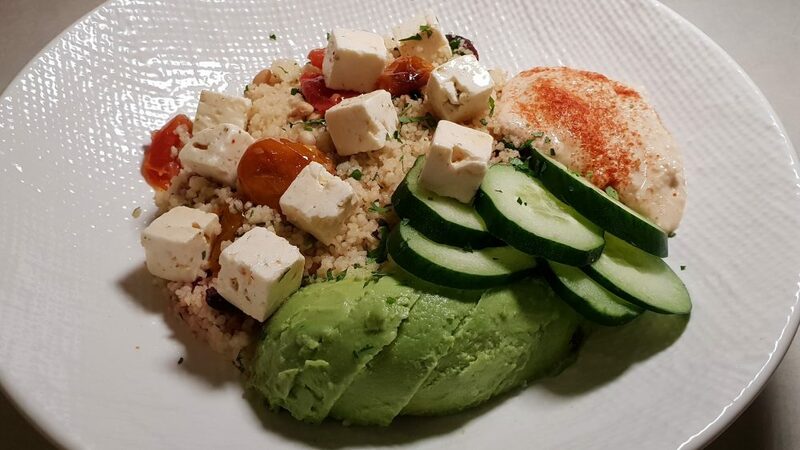 Mediterranean Couscous ($15) – what a low-carb dieter does not need but sneaks in, thinking, well, it’s still a salad, no? I love couscous, especially when it has dollops of hummus, feta and avocado to make it all the more unctuous. 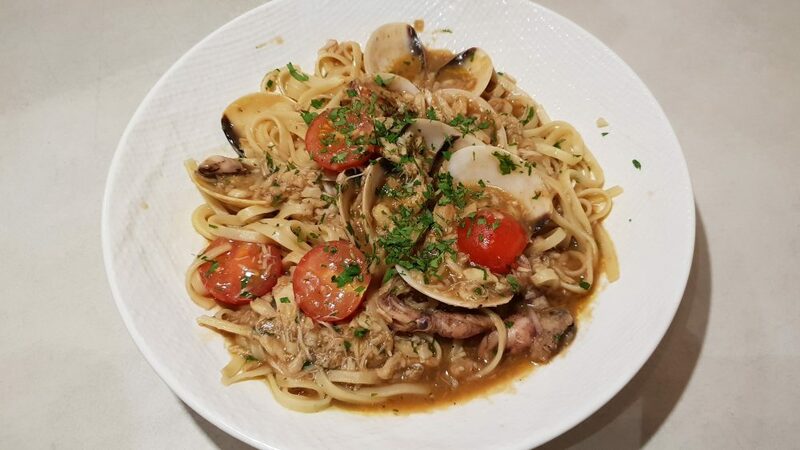 Seafood Fettucine ($25) – the sauce is thick, almost like a good ole’ prawn mee stock. Again, just that little bit more Asian than Mediterranean, I would say. 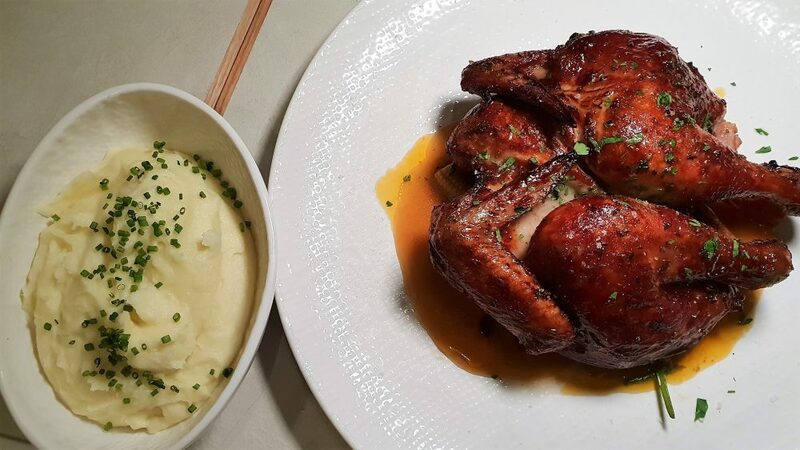 Locally-bred Spatchcock ($28) – this Portuguese-inspired dish is brined for a few hours before being left for a day in a chiller to dry out, thereafter roasted in butter with honey, paprika and herbs. There’s a smoky element to this dish thanks to the sautéed bacon strips. Finally, dessert. 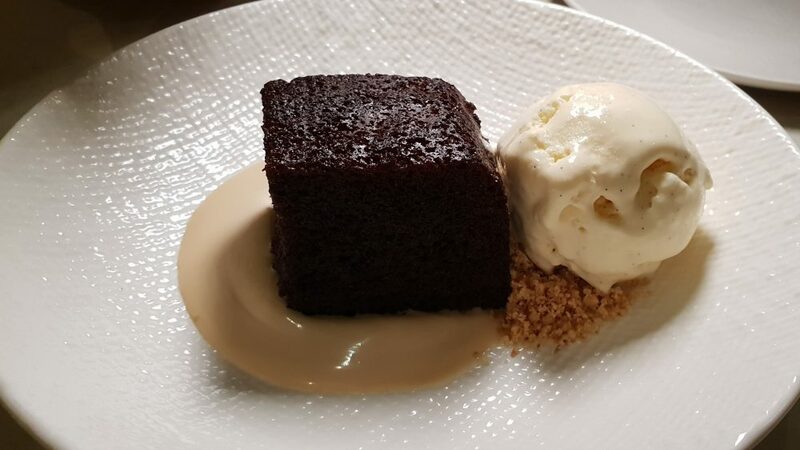 We tried the Baked Chocolate Pudding ($10) which came with a salted jaggery sauce and coconut crumble. Not as indulgent as it might sound, perhaps the right choice after a heavy meal. 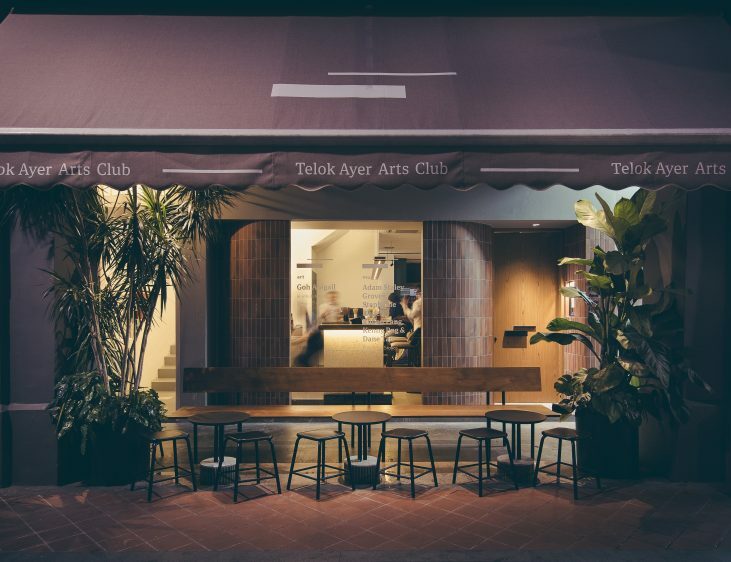 If you’re in the CBD area, you might want to check out Telok Ayer Arts Club. Check their facebook for latest events.